A fundraising campaign starts with presenting yourself and your technology to potential channel partners and investors who are a fit for your product and stage of development. As part of the Redefining Early Stage Investments (RESI) Conference, attendees can apply to the RESI Innovation Challenge which, if you are selected to participate, can greatly increase exposure for your company before, during and after the day of the conference. The partners and investors who frequent RESI know that the companies selected, routinely showcase compelling technology. Attending RESI and participating in the RESI Innovation Challenge are only one part of fundraising for CEOs and scientist-entrepreneurs. 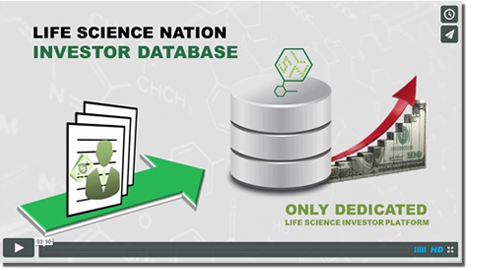 Here is Life Science Nation’s step-by-step process for a successful fundraising campaign and how and why RESI plays an important role. To raise capital, an early-stage CEO needs to create a Global Target List of potential investors. There are around 400-500 relevant global early-stage investors on a typical Global Target List, spanning 10 categories of investors in early-stage Biotech, Medtech, Diagnostics, and Digital Health. This list should be sourced from a curated platform to ensure the most up-to-date information. With a vetted list of qualified investors who are a fit, the fundraising executive can be more efficient in their outreach. This will lead to a higher response rate from your phone and email campaigns and thus result in a higher number of meetings booked to initiate dialogue with your partnering targets. A fundraising campaign is something your company can execute internally with the right staff: phoning and emailing investors, setting up meetings, and organizing the campaign follow-up takes an enthusiastic personality. While many CEOs might be tempted to look for an outside service provider to manage the fundraising campaign, my recommendation is to do it internally. Personal outreach and clear messaging are equally important when reaching out to potential investors. At the end of the day, fundraising is a numbers game and having the right staff canvassing your Global Target List and initiating dialogue causes relationships to take root. However, initiating the conversation is never enough – the follow-ups, second and third meetings are when you’re generating real interest. This requires dedicated effort to ensure proper follow-through. Face-to-face meetings are best for promoting relationships – that’s why we’ve created the RESI Conference. If you come to our next RESI, you may find 20-30% of your targeted investment firms are attending to find the earliest and hottest innovators within the healthcare industry. We offer one-on-one partnering all day for all global attendees at our Partnering Forum. By taking full advantage of our Partnering Platform, you have the opportunity to schedule one-on-one meetings with up to 16 of these investors, supplemented by ad hoc meetings, especially if you are a participant in the RESI Innovation Challenge. Want to learn more about fundraising? If you read my free book The Life Science Executive’s Fundraising Manifesto, you will see that I am a big proponent of getting a complete Global Target List and then working the whole list. Establish a dialogue, go to RESI or other events and meet them–you must network. Follow up regularly by emailing all the targets with news on your company and how it is reaching milestones and getting compelling data: investor updates are key to your success and their vested interest in your company. If you market to this list in an adroit and cogent way you will get on the investors’ radar screen. It’s a numbers game, and when you market to your Global Target List consistently you never know who will surface and what opportunities may arise. If you are just sending out material to investors who are attending an event, why not send out to all who are a potential fit for you? It only takes one interested investor to move a deal along. It’s hard for fundraising CEOs to avoid cutting corners to save a few thousand dollars on campaign costs, but this can lead to a lot of missed opportunities. Putting your company out there as much as possible by investing in a high-quality marketing package and web presence, hiring staff who can conduct a campaign, and traveling to major investment events will maximize your odds of getting funded. In addition, being selected as a participant in the RESI innovation Challenge has a compelling track record of helping companies get funded. The deadline to sign up for the RESI Innovation Challenge is soon! Click here to sign up.